When Kylie Jenner does something, she does it big and with a million hints. If you've been watching her social media closely, you've probably already heard of The Kylie Shop. It appears to be connected to her pop-up shop somehow, which is said to carry both makeup and unknown merch, but whether or not the same items will be sold online is still up in the air. That makes their latest product picture one to watch. 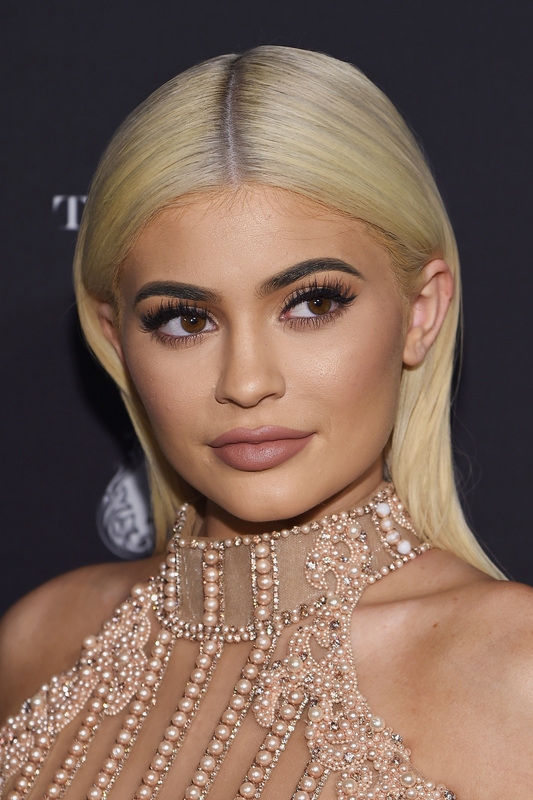 Could glitter Lip Kits be the next product for Kylie Cosmetics? You just never know with the 19-year old, but this photo could be a big hint. Not long ago, The Kylie Shop popped up on social media. It's still unclear if this is a part of Kylie Cosmetics, but they've been giving out hints for a while now. It started with pics of different Jenner-inspired tees, but now seems to have taken over beauty territory as well. The latest is a photo collage on Instagram of two different lipsticks. One of which is a silver sparkly shade that isn't sold on the Kylie Cosmetics site. This is the first time that a beauty product has been shown on the page, so it has to mean something. The glitter lips were a huge trend this year. Especially since Pat McGrath's Lust 004 Kits came out. It's possible that Jenner could be getting into the trend now too. Of course, nothing is ever a sure things until Jenner says it is though. According to The Kylie Shop website, the page will go live on Dec. 9. That's also the same day that the Kylie Cosmetics pop-up shop comes out. Although they have different logos, it's quite possible that the two are linked in some way. Jenner has already created Metal Lip Kits for Kylie Cosmetics, so the glitter lip would just be one step up. Honestly, you never know what Jenner will do next. It's hard to even guess. Hopefully all the answers will become clear on Dec. 9. I can't wait to see what Jenner has in store for her fans next. Regardless of all the unknown facts, one thing is for sure — whatever it is will be a bestseller.